Hey friends, welcome back! If you’re just tuning in, let me catch you up. We are the last and final day in our 3 part post revealing the November, Fandom themed polishes/products from Polish Pickup. 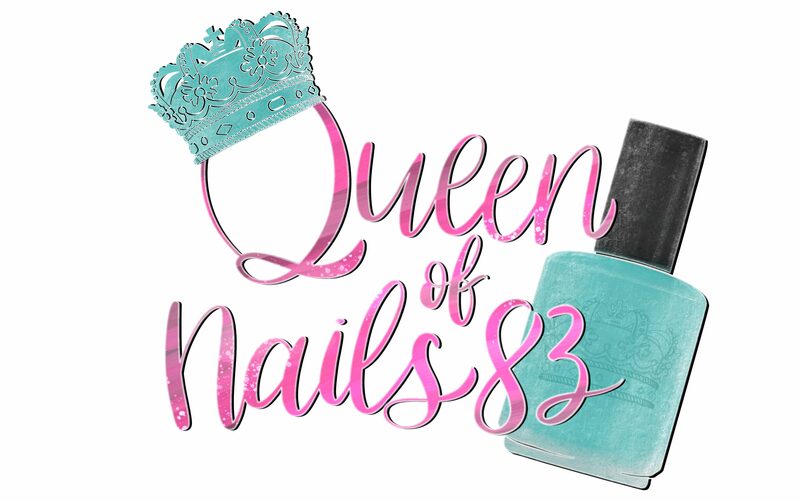 So far we have seen about 40ish polishes/products from brands A thru Pa, which if you missed any of you can check out here..
Today will feature brands Pe – T and trust me when I tell you, honey…. there’s still a lot more to see. I hope you’re because we’re getting started in 5…. 4…. 3…. 2…. A yellow gold flake base, with gold holo glitter and a slight pink flakie shimmer in certain light. A black base loaded with red, orange, gold, green, blue, and silver micro glitters, gold sparkles, and a hint of red and gold shimmer. Polish ‘M – I Double Dog Dare Ya! A chocolate brown base with green to aqua shifting shimmer, electric blue micro flakes, lime-blue-gold UCC flakies and scattered micro galaxy glitter. A dark turquoise cremely that shifts to dark green with crystal chameleon flakes, various shades of shimmer and a touch of blood red glitter is scattered throughout. A blue-grey holo duochrome shifting base with pink-blue-green iridescent flakes, holo flakes and red-pink-gold iridescent flakes. A royal blue base with turquoise and holo micro flakes, blue/green/gold crystal flakes and micro glitters in gold, copper and chameleon. A teal blue with orange shimmer and pink, aqua, green flakies. A silver linear holo with with added holo sparkles and blue and red glass flecks. A grey/silver base polish with slight blue and turquoise shift, holographic pigment, holographic flakes, blue flakes, turquoise and blue sparks. A rust leaning red with gun metal microflakies, bronze sparkles and copper shimmer. A vampy red shade filled with iridescent green/teal and red/green micro glitters. A medium pink with a strong pink shimmer/flash with linear holo throughout. A medium to dark green holo with added gold holo micro glitter. An oxford blue-ish base with tons of flakies. I Drink And I Know Things is a lovely wine scented sugar scrub made from scratch. Packed with good for your skin ingredients like shea butter, cocoa butter, sweet almond oil, and beeswax, this emulsified sugar scrub will slough off tired skin cells and plump up the fresh layer underneath. Price $5.50 for a 2.5 oz jar. This sugar scrub was used after swatching all these polishes and my hands have never felt so good! A bluish grey base with orange/red shimmer and orange/pink/red flakies. Nail art features fandom themed water decals from Green Goddess Creations. The Howling Boutique’s Supermoon Lacquer – You Down With MLP? A pale blue scattered holographic with green/blue/purple, turquoise/purple/red, purple/red/orange, and red/orange/gold color-shifting shimmer, rainbow pearl flakies, clear and silver holographic microglitter, iridescent rainbow microglitter, and iridescent teal/blue and blue/purole color-shifting microglitter. A wine with the bronze flakes, red shimmer, and the holo sparkle. Hey, hey, hey don’t leave yet! I have a few more things I want to say…. as usual 😂! First, thank you to Adrienne and Sarah for organizing, hosting and participating in Polish Pickup. It’s such a fun, new and exciting way to showcase and purchase polish pretties all in one place… like a create your own polish box, if you will. I also want to take a moment to offer my sincerest thanks for inviting me to be the guest blogger for November, it’s been an amazing experience being able to work with such talented makers! Thank you to the makers for trusting me to swatch your beautiful creations and I hope you all sell hundreds of polishes! And lastly, the readers and subscribers, old and new, thank you for your continued support! Now that you’ve seen just about everything that will be offered, comment your thoughts! I wanna know your faves and what made it to your must buy list. Thanks for all of your hard work and for your kind words about our sugar scrub! Great swatches! Now my list is even tougher!! Oh what to choose!! !